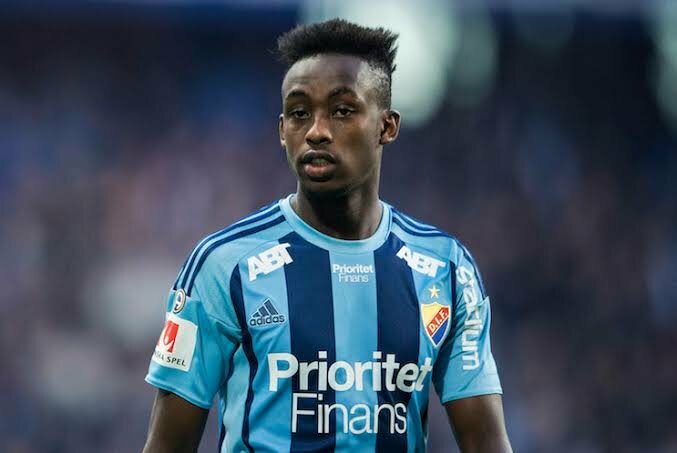 Swedish based Tinotenda Kadewere found the back of the net as his Djugardens side cruised to a 3-1 win over Syrianska in a friendly matxh as they prepare for the start of the 2018 season. Kadewere led the attack for the his team, where he will be hoping to secure a starting berth in the upcoming season. After a quiet start to the encounter, Kadewere managed to open the scoring in the 37th minute. Second half goals from Kevin Kielin and Oliver Granberg ensured that Djugardens seal victory. Ramez Matti scored the consolation for Syrianska. Kadewere had a nightmarish 2017 season marred by injuries but has vowed to cone back stronger and score more goals this season. Djugardens are also reportedly teying to lure Chinese based striker Nyasha Mushekwi for another spell at the club.